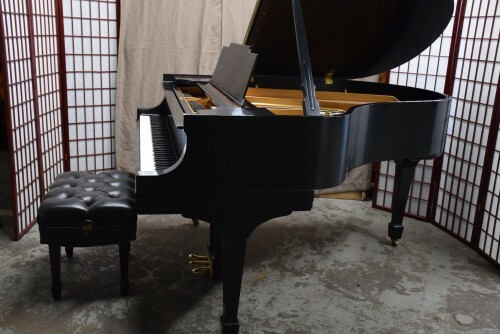 Art Case Steinways By Sonny's Pianos – Page 2 – (SEE VIDEOS & PRICES) Used Pre-owned Steinway Pianos For Sale Model M-B- L -O-S for NYC, NY, CT, NJ, MD, Westchester, PA, Houston TX Texas, Dallas TX Texas, Glendale AZ, Little Rock AR, Boulder CO, Norwalk CT, Dover DE, Naples FL, Savannah GA, Boise ID, Chicago IL, Indianapolis IN, Des Moines IA, Wichita KS, Louisville KY, Honolulu HI, New Orleans LA, Portland MA, Ann Arbor MI, Gulf port MS, St. Louis MO, Omaha NE, Reno NV, Manchester NH, Newark NJ, Jacksonville NC, Fargo ND, Cleveland OH, Portland OR, Philadelphia PA, Providence RI, Columbia SC, Sioux Falls SD, Nashville TN, Midland TX, Salt Lake City UT, Charlottesville VA, Charleston WV, Madison WI, Florida, Annapolis VA, Baltimore Virginia and the rest of the USA. Beautiful 1996 white gloss Young Chang 5′ long 58″ wide. 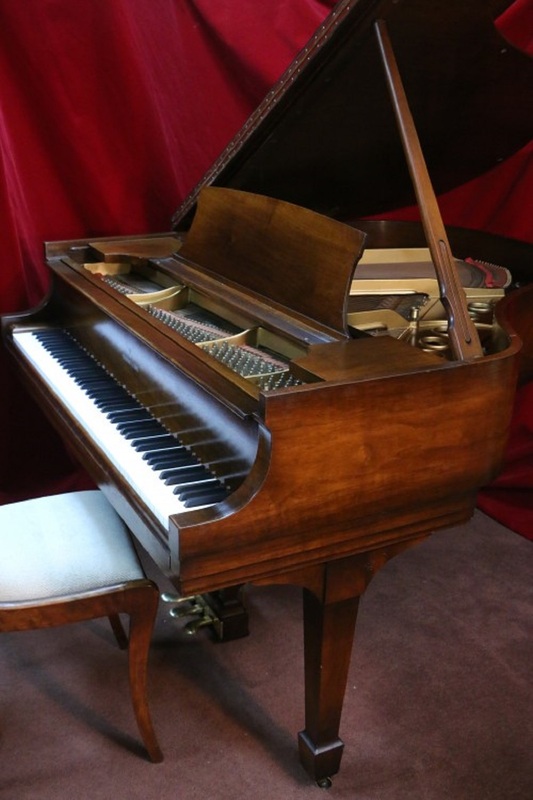 One previous owner, very little playing time, piano served primarily as a furniture piece. Has warm, crisp, clear sound and responsive action. Our technicians and furniture people have gone over it and it looks and sounds great. 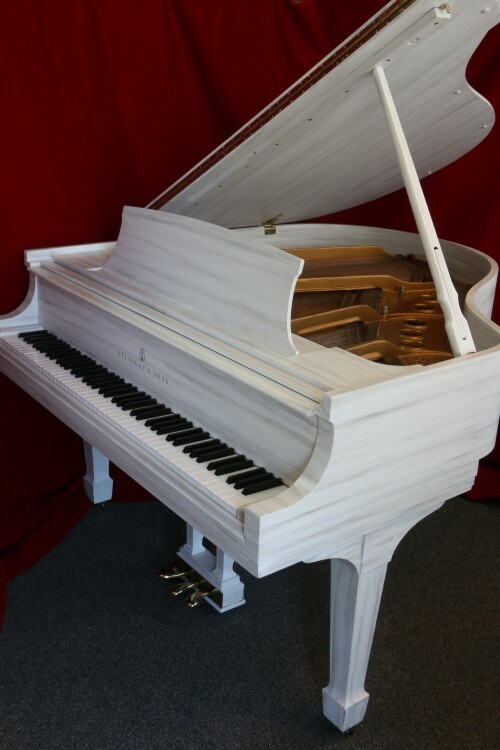 THE MILLION DOLLAR STEINWAY A “Prince’s Love Piano” Art Case Steinway Hamburg Model “A” H and Painted “Vernis Martin” Style Totally Rebuilt & Restored Only at Sonny’s Luxury Art Case Pianos! 10% of the final sale price will be donated to the Juvenile Diabetes Research Foundation, Long Island Chapter. 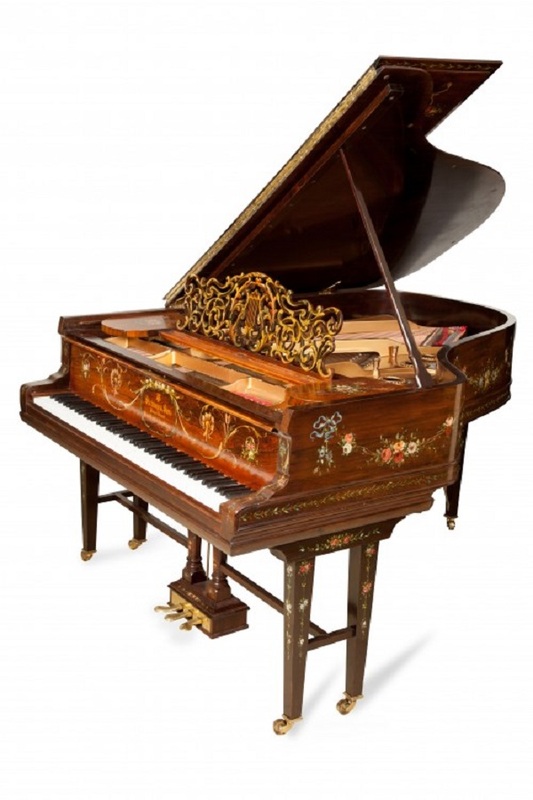 Phenomenal Hand Painted, Rosewood Art Case Steinway “A” 6’1″ Grand Piano made in the Steinway & Sons Hamburg, Germany Factory in 1900. 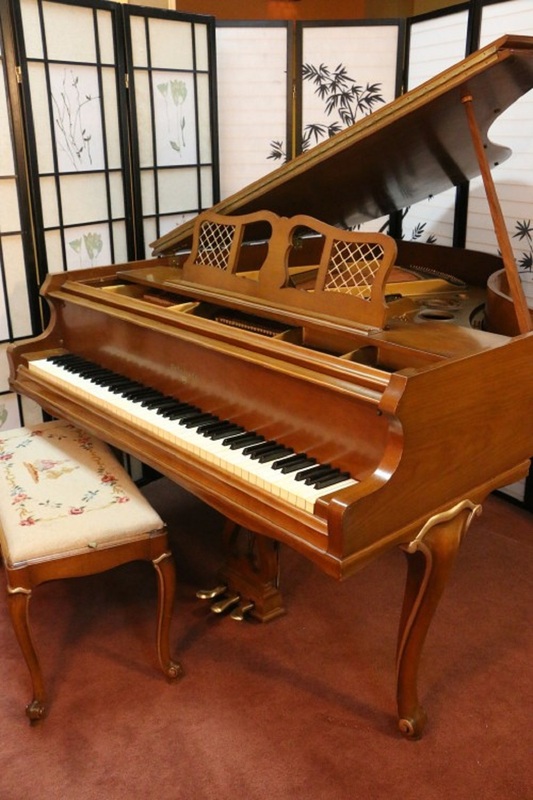 We have nicknamed this the “Prince’s Love Piano” because of the Romantic Pastoral Scenes painted on the piano and the “Love Story” that they appear to tell. 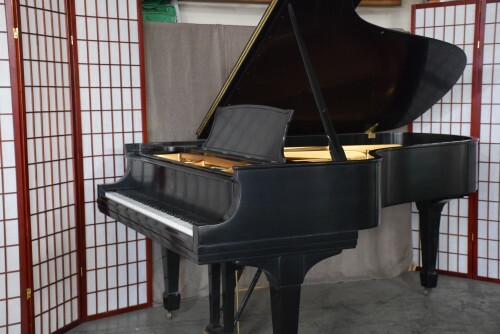 From what we can determine after it was made this piano was sold and shipped to a Prince in La Tour-de-Peilz, Switzerland. 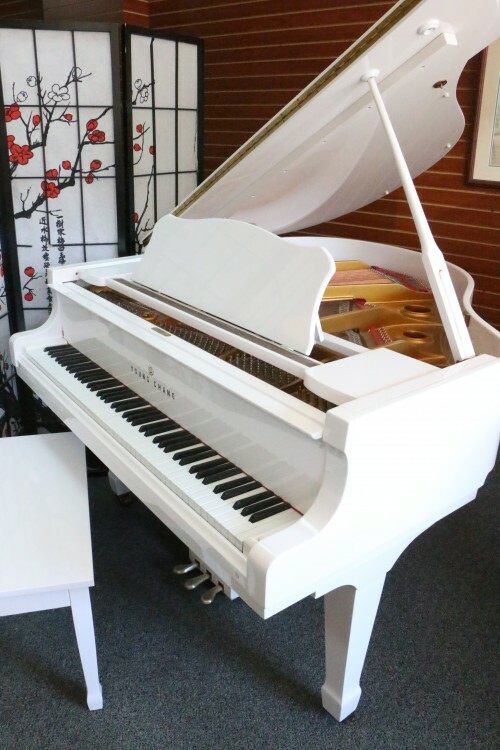 (We totally rebuilt & restored it during the summer and fall of 2015) It appears that after purchasing the piano he commissioned a master artist to create the beautiful custom romantic scenes, which appear to tell a “Love Story”. It seems that the Prince wanted to immortalize the love between himself and his lover with this masterful work of art. We had an art historian evaluate the paintings and she said, “The paintings on the case are “Vernis Martin” style scenes depicting pastoral scenes of love and romance following the manner of fashionable painters of the mid-18th century, and with gold painted scrolling tendrils and colored flowers and garlands on the case and legs. “Vernis Martin” was an 18th century technique named for the Martin brothers of Paris, who were instrumental in development and refinement of lacquer in the style of Asian lacquer”. The previous owner’s Aunt bought it at the Sotheby’s Auction House in London in the early 1920’s and said it came from the estate of a Prince. 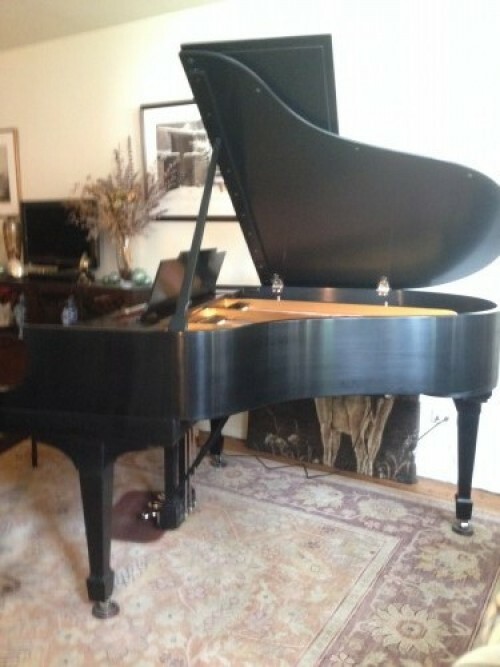 Steinway & Sons records confirmed that the piano was indeed purchased by someone in La Tour-de-Peilz, Switzerland. The art historian in her analysis of the piano said La Tour-de-Peilz is a small village on the northern shore of Lake Geneva between Vevey and Montreux. In the late 19th/early 20th century it was a favorite swanky holiday spot for European royalty. The romantic pastoral scenes seem to convey some kind of love story especially the two lovers entwined on the lid and a younger version of them that are two baby angels also on the lid. The male figure has a crown of garlands and the woman has red hair and fair skin common for people from northern Europe. 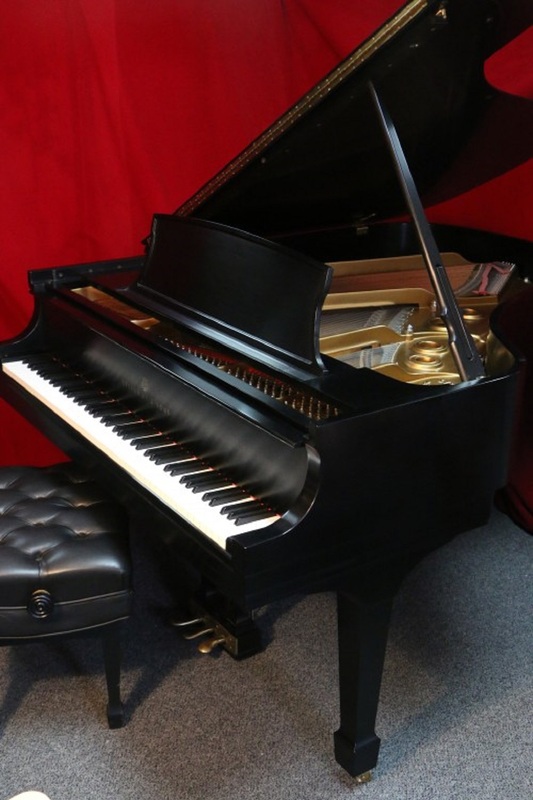 The piano itself is an incredible instrument probably one of the best and most expensive money could buy at the time. 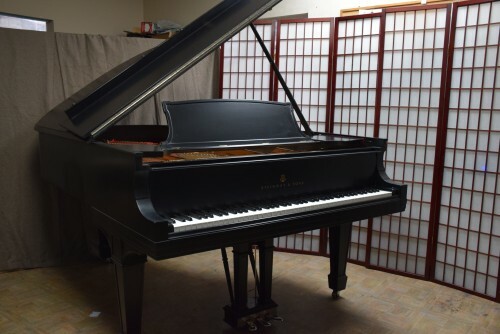 We just totally rebuilt the piano with a new a Alaskan Bouldoc Spruce soundboard and pinblock, new Hamburg Steinway wippens and new Steinway NY hammers and shanks. All new strings and Mapes bass strings. We also put on new dampers, put an age appropriate soundboard decal on the soundboard and regilded the plate. The action was just regulated to concert stage performance level. The tone is a rainbow of sublime tones. We had two professional artists restore the original art scenes and it is just an incredible instrument and work of art. This is truly a one in a million Steinway. Call Sonny at 631.475.8046 for further details. To see a video tour and more details visit our website at www.sonnyspianotv.com/artcase.